Italy is a magnificent place with so many destinations that are perfectly suitable for vacations. Apart from the places like Manarola, Florence, Siena etc. that are already known for their tourist hot spots, another outstanding place that can be explored by you is Pompeii. Pompeii is a well preserved city that will amaze you to a great deal. The city is amazingly preserved in time due to the volcanic eruptions that occurred in 79 AD. Located near the city of Naples, the excavation of this place has brought up several amazing facts that you can explore during your visit. 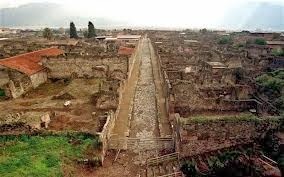 If you wish to enjoy the fascinating insight of Ancient Roman empire, you can walk across the streets of Pompeii. There are several ways in which the tourists can reach this place. The trains and buses are well linked to this place from different locations like Rome, Naples and Sorrento and visitors can easily get in here. Located at the eastern part of the excavated land, this amphitheater is located close to Sarno Gate entrance. This place had the capacity to accommodate around 20,000 people and was developed in 80BC. 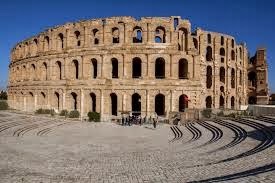 It is the only surviving amphitheater in the country and has carefully preserved the remains of the Roman Empire including the traces of wild animals. Located in the northern part of Basilica, this temple is one of the oldest temples located discovered at the time of excavation. It comprises of the Etruscan items that date back to the 575 BC. If you are interested in having a look at the royal bathing areas, there are several baths that can explored by you. 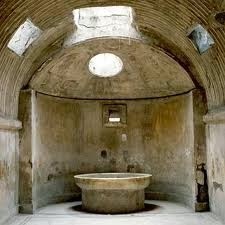 Most of these baths represent the ancient Roman architecture which was preserved with time. The central baths as well as the Forum baths are worth exploring. Another impressive bath area with interesting decorations includes the Stabian baths. With the increasing popularity of Pompeii as a holiday destination, the options for staying have increased to a great deal. 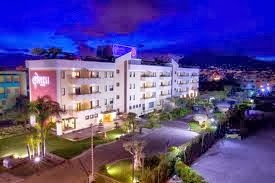 Some great options include Hotel Diana Pompei, Forum Hotel Pompei, Hotel Pompei Resort, Albergo Pompei Valley etc. Pompeii is a place that offers innumerable sights for exploration. The ancient buildings boasting the Roman architecture, mythological characters, master pieces and beautifully preserved paintings and people are some of the best sights that should not be missed you. Fortaleza is one of the most populous holiday destinations for the locals but in the recent years it has gained popularity among the international tourists and receives a huge number of worldwide tourists every year. This amazingly beautiful and appealing capital city is situated in Ceare. There are several attractions that catch the attention of worldwide tourists like the safe and sunny beaches, rich culture, delicious culinary and thrilling nightlife. There are several other amusement parks and museums that can be visited on the trip. Pinto Martins, the international airport in the city offers flights from different destinations to this place. As far as internal transportation is concerned, the placer is well connected with trains and buses making it easier for the guests to explore the city and move from one place to another. This aqua park located in the city is a fantastic place to have fun and entertainment. 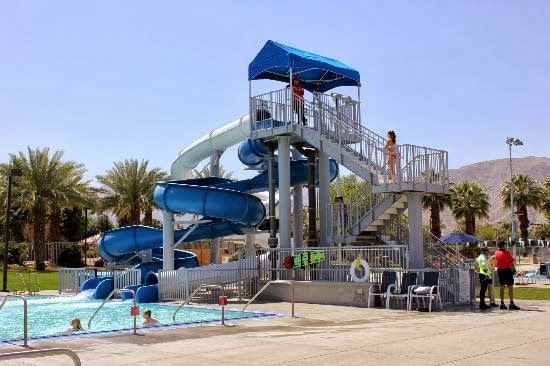 The high water slides and other water activities make this place a thrilling one, if you are not interested in water activities, you can also visit the museum located in the park itself. The museum showcases the exhibits of the jangadas which are the sailing rafts of wooden previously used for fishing purposes. If you are willing to taste the national drink of Brazil, you should not miss a visit to this place. The guests are offered a guided tour of the place during which they can collect information about this place. After the completion of the tour, the guests are provided the liquor known to be the national cocktail of the country. It is made from fermented sugarcane juice having caipirinha as its primary ingredient. This beach is hidden behind the dunes and is a perfect place to enjoy the sightseeing of some marvelous natural wonders. The beautiful landscape with red cliffs, palm trees and jangadas are worth watching. The beach side restaurants and other activities make this place a perfect package of fun. For accommodation, you can check out the wide list of hotels located in here. The ones that occupy the top most ranking include Villa Mayor, Hotel Meridional, Hotel Beira Mar, Hotel Praia Centro and many more. Fortaleza is a peaceful yet enthralling destination offering innumerable fun activities for the visitors. A trip to this place will really be a wonderful one with life time experiences. If you are looking forward to plan your visit in any of the locations in Europe, you might neglect the small towns that though are not very popular, yet have innumerable hidden delights that might please you. 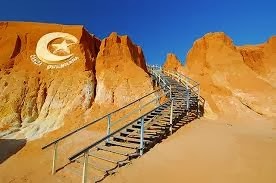 One such destination that has really pleased the visitors by its golden sandy beaches, rocky coves, amazing activities, food and national parks is Algarve. This beautiful place is located in Portugal and has several attractions that invite thousands of people every year from this place. The most amazing placers that you can visit during your trip include zoos, Ria Formosa Natural Park, water parks and beaches that are known for their ultimate beauty and charm. A nearby village, Lagos is also worth exploring. The main international airport that offers flights to this place is Faro Airport. Faro is the capital city of Algarve and its old town is known for its ancient buildings and other historical monuments. This city is known for its natural landscapes with blooming flowers in almost all the seasons. 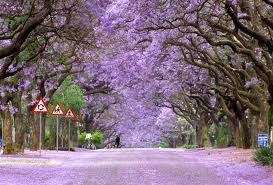 In the months of February, you can notice that flowers bloom in pink, while the jacaranda tree blooms in blue color in the month of may enhancing the beauty of the streets. You can visit this place any time between the months of February to October as the weather is pleasant. For enjoying beach activities, you should plan your trip in the months of May, June and October. Located in the small city of Lagos, this beach is also known by the name of Golden Beach that boasts golden sand and stunning cliffs. Apart from enjoying the sun and other beach activities at this beach, the visitors can also explore the Ilha de Tavira Island which is just a few miles and can be reached via boat. This sandy spot offers innumerable fun to the visitors. Located in the Inland, the Silves is beautifully bordered by valleys containing orange groves. There is also a castle of red sandstone near the silves. This place provides an opportunity to the visitors to experience the ancient Algarve by presenting a town that belongs to 1000BC. 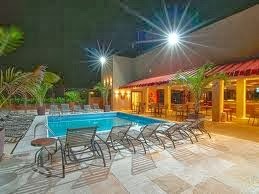 For accommodation, the tourists can easily find luxury hotels in the city. 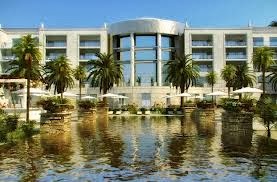 The best ones that can be booked by you include Conrad Algarve, Pestana Alvor, Monte do Casal etc. Algarve is an outstanding place offering fun and excitement to people of all ages. Do not miss to visit the vineyards and taste some exotic wine produced in this region. Lagos is an amazing destination for holidays offering a perfect blend of landscapes, thrilling activities, historical monuments, intricate architecture and much more that offers complete entertainment to the visitors. It is due to the amazing delights of this beautiful place that people from all round the world visit this place. This place is considered as a jewel in Portugal located in the city of Algarve. The rate of tourism is increasing to a great deal here and hence the facilities and comforts offered to the people will please you. This small seaside city has amazingly stored innumerable gems in it which can be explored by the tourists during their visit. This place has something special for almost all the tourists visiting this place. As Lagos is a small city, it does not have an international airport where the visitors can land. However, there is an airport named as Faro that offers access to this place. This airport is located at a distance of 75kms and the visitors can reach their destination via bus or train. 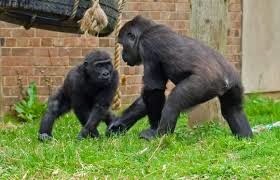 This zoo is an amazing place to have fun with the family members. There are a wide species of animals in this zoo along with a petting farm where you can feed your favorite animal. A visit to this place will surely make your day outstanding. If you love beaches, you can visit this beautiful beach that boasts of long stretched coastlines and pathways for enjoying a walk. You can also climb the cliffs and have some adventure. The top of the cliffs offer an amazing sightseeing of the panoramic views of the area. Apart from this, there are several other beaches that offer additional water activities like swimming, water skiing and boating. Have you ever dreamt of watching the dolphins swimming just next to you? 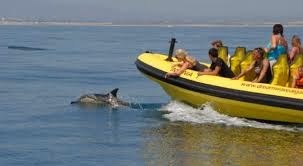 You can make your dream come true by going for the dolphin tours offered by the tourism center in the city. The tours are really amazing. With the increasing importance of tourism in this small city, several luxuries as well as mid-sized hotels have been developed in the city. These include Hotel Dom Manuel I, Solar De Mos Hotel, Uma Casa à Beira Sol etc. Lagos is a small beautiful town that has an historical importance with an old town presenting the history and culture of this place. Apart from this, the several fun places and beaches make this place worth a visit.